WASHINGTON, USA -- The ancient Himalayan culture of Tibet—already subject to strict controls from Beijing—is suffering irreparable cultural losses amid increasing burglaries, looting and illegal trade in treasures from its tombs, monasteries and temples, scholars and local residents say. The growing trade in stolen Tibetan artifacts has in part been fueled by a rising tide of commercialism which seeks to exploit the region's cultural relics, often with the help of corrupt local officials, a recent investigative report by RFA's Mandarin service has found. "The chief of the local precinct started digging in the very beginning," said one resident of the Tibetan-inhabited county of Dulan in China's northwestern Qinghai province, which is home to a large, and frequently robbed, complex of Tibetan tombs. "They arrested and sentenced many people at that time. However, up until now, the tomb robbery situation has not improved. They captured over 200 non-Tibetan farmers last year. Most of them belonged to the Hui [Muslim] nationality, but there were Hans as well," the Tibetan man said. The tombs in question are in the Haixi Mongolian-Tibetan Nationalities Autonomous Prefecture, an ancient Silk Road town, and the birthplace of Nuomuhong culture. Excavations have revealed gold coins from the eastern Roman empire, silver Persian coins and many Tibetan cultural relics. The State Cultural Relics Bureau of China listed them as one of the top 10 archeological discoveries of 1996. But that status has done little to protect them or their contents. Migrant workers from elsewhere in the region often pursued tomb robbery as a lucrative sideline to their jobs as construction workers, and the armed guards stationed at some of the tombs could not prevent them all, the Dulan county resident said. "They started implementing some anti-theft measures a few years ago," he told RFA's Investigative Report. "Nevertheless, these measures are not effective because the tombs are scattered relatively far apart along the slopes and most of them have been robbed empty." An officer at the Dulan county police station said police were committed to tackling the issue. "They have a specialized relic police precinct," the officer said. "They will definitely arrest any tomb robber." But local relics specialists lack resources to manage the treasures, which are rapidly slipping away under their very eyes. "They cannot do anything," Haixi Prefecture Nationality Museum official Daba told RFA. "The road is rugged. It is about money, financial problems. Let’s say you were the public security. You learn that someone is burgling the tomb and you go there but cannot find anybody. What can you do?" "For us, it is mainly a financial problem. We do not have money to manage the relics," he said. But the problem isn't only caused by criminal organizations. Government departments, academic institutions and private individuals both within China and overseas have contributed to the plunder over the past few decades, Tibetan scholars and Buddhist leaders told RFA. Beijing-based Han Chinese scholar Wang Lixiong, who has written several works on Tibetan issues, including the Sky Burial: The Fate of Tibet, says that the large-scale losses to Tibetan culture began with the state-sponsored destruction of the Cultural Revolution. "During the Mao era, they considered the artifacts dross and destroyed them. Now, they see them as merchandise and sell them. Speaking overall, either way, it is an abuse," Wang said. Many overseas scholars worry that Tibetan culture is gradually becoming extinct. Pema Wangyal, Professor of Tibetan Buddhism at Western University in Los Angeles, said there was widespread theft of and trafficking in Tibetan artifacts from Buddhist temples and monasteries, in which government officials frequently colluded with the traders and thieves. "The theft of artifacts is very common among large Tibetan temples but the government has not done much to investigate or report the issue," Pema Wangyal said. "For instance, seven precious gold bowls that served as the sacrificial lamps for the Buddha at the Taer Temple were stolen in the 1980s. I believe they were artifacts from the Ming Dynasty." "The matter was shelved in the end. This situation happens to temples in many places," he said. Pema Wangyal said there was also a huge collection of precious Tibetan artifacts in the United States, in Washington D.C., in some U.S. museums, in schools of East Asian Study at many U.S. universities, and in some personal collections. "The Asian Museum in Los Angeles has many valuable exhibits," Pema Wangyal added. "Some are from personal collections while others are obtained through unknown means. They have some priceless items, even from the Ming and Yuan Dynasties." He cited the case of an auction held in New York recently at which someone bought a rice steamer from the Tang Dynasty and a statue of a guardian warrior of the Buddha made of stonewood from the Ming Dynasty. "I saw the statue myself. It cost U.S.$3.8 million," he told RFA reporter Bai Fan. 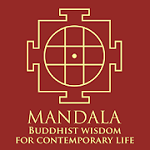 Living Buddha Arjia Rinpoche, the original Abbot of the Taer Temple in Qinghai Region, now manages the Tibetan Center for Compassion and Wisdom in California. He said the problem had grown worse during the 1980s and 1990s. "A serious case happened to the Taer Temple while I was the Abbot there. I think it was on August 25, 1987," Arjia Rinpoche said. "The famous Wudan lamps made of pure gold were stolen...After that, the artifacts of the temple were burglarized one after another. During my term as Abbot, I went out on business one time and eight invaluable artifacts in our museum, including an ivory ball, were also stolen," he said. Taer Temple monk Monk Qirap, who works in the temple security office, said there were established networks for the illegal trade in Tibetan treasures. "The trafficking of stolen artifacts does exist," Qirap said. "Usually, they are transported to China by vehicle and shipped overseas through Guangzhou and Guangdong." Qirap confirmed an increase in the illegal art trade in recent years. 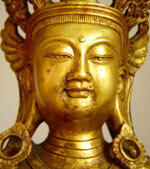 "They mainly steal items such as statues of Buddha; ancient items that are valuable now. For example, statues of Buddha made of sulphonium and jade," he told RFA. Other observers point to the politics at work in Tibet, which was occupied by Chinese troops from 1949-1951, and has seen a major influx of ethnic Han Chinese who reap most of the benefits of the recent economic growth of recent years. Rinchin Tashi, a U.S.-based Tibetan scholar, believes that the Chinese government only wants control of Tibet, but does not treat the requests of the Tibetans for the return of their relics and personal properties seriously. "Even the higher levels of government seem not to care too much once you talk about personal property, human rights, and personal rights," Rinchin Tashi said. 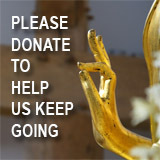 "Laws and policies are required for the better protection of Tibetan property. You can see that there isn't in fact much autonomy in the Tibetan Autonomous Region." "If they give the Tibetans a certain degree of autonomy and establish the rule of law across the country, then China will become a democratic country under the rule of law. Then, all the people living in the People’s Republic of China, whether they are Tibetans or Hans, will be able to protect their personal property," he told RFA.